Have you heard of 23 and Me ? It is an Ancestry DNA testing company that can tell you what regions in the world your DNA came from. My brother ( for fun and out of curiosity ) used this company’s services ( for a fee of about $110 ) and learned ancestral stuff that we already know, except one. DNA testing is fairly accurate , and this company takes pride in being 99.99 % accurate. ( I hope it’s well-deserved ) Anyway, my brother has not sent me the email with details of his ancestry DNA results yet, but basically, the result says we come from South East Asia, DUH !, ( Philippines, Indonesia, Malaysia,) and Europe ….. , though we have more of Europe ( Iberian, / Southern Europe ) than Asia in our genes .. What we ourselves know is, in fact, even more accurate because we know exactly where our ancestors came from ( paternal side )….. my great , great grandfather Antonio ( my grandmother’s name was Antonia ) came from Sta. Maria de la Nueva , Segovia, Spain. My grandmother even attended a reunion in Spain many years ago. As per 23andMe’s geneology database, one’s ancestry can be traced as far back as 600 years ago with almost 100% accuracy. What surprised us most , actually, is a variant in my family’s DNA that is common in ….. drum roll…… Middle East, most particularly , in Palestine/Israel region. The word that 23 & Me used is , specifically, Jewish. I guess this comes from my mother’s side of the family, and we’re excited to know that what my mother’s been telling us,( as we, her children, listen with eye-rolling skepticism ) has been confirmed to be true , as per 23and Me’s DNA analysis ) This is Mom’s story…… ……. when she was a kid , her grandmother used to tell her ( over and over, lest she forgets ) they had Jewish blood. Of course , it was in Filipino language ,which was ” dugong Hudyo “. Hudyo is Filipino for Jew, and dugo means blood. It was only a few years ago when my mother finally understood its significance. So, why were there Jews living in a small, rural town 300 km. from the capital city of Manila ? From our research, we learned that Spanish Jews were either forced to convert to Catholicism by the Spanish monarchy or face persecution. Some fled ( Jewish Spanish soldiers ) and went to the Philippines and settled far away from the prying eyes of the government. 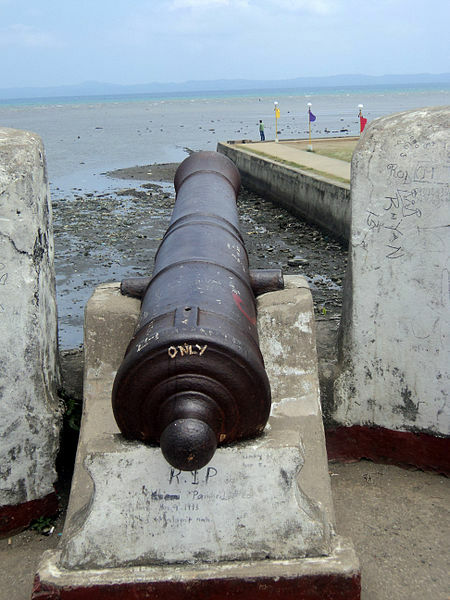 My mother’s town was a Spanish military town ,with fortress, complete with cannons , to defend the area from Chinese pirates. Also, there was also a high concentration of Turkish Jews in that small town. My Mom still remembers the Adads who lived right across from their house. She had a humungous crush on one of the Adad boys for a long time. We also learned that ” Adad ” is a common Turkish last name. I guess they finally converted to Catholicism at one point, but saw to it generations of descendants were reminded of their heritage. It was just recently when my mother finally understood why they had to be told of their ancestry. It didn’t make sense to an 8 year old kid then . ( Her grandma died in 1964 ) It was so random. I mean, where did that come from ? Out of nowhere, out of the blue ? She didn’t even know what a Jew was . This reminds me of an article about a Filipina girl having her hair done at a Lousianna beauty salon when a blond, blue -eyed woman approached her and asked if she was a Filipina . When she said yes, the woman’s eyes lit up and told her she had Filipino blood too. Her ancestors were Filipinos who settled in Saint Malo and Manila Village , Louisiana in the 1700’s . ( they were sailors who deserted the Manila – Acapulco galleon ships ) . They pioneered the dried shrimp industry in Louiasiana. We’re not sure though if the company’s database is accurate. Does a particular race have a variant unique only to that race ? I did study DNA analysis extensively at school and I can affirm with 100% certainty results are super accurate. However, if the result of the test is 99.97 % East Asian ( Chinese, Japanese, Korean, Taiwanese ) , but has a 0.10 % of DNA originating from Sub- Sahara , you can consider yourself pure East Asian. Here’s the thing….. my teacher in genetics told us all human beings have a certain percentage of African DNA in their genes. Current science tells us humanity’s origin is Africa . That is a fact, unless proven otherwise. Whoa ! 733 words now ! Gotta break this with pics of yours truly in Spain. This is all for now . Thank you for reading , and peace.